Are your windows and doors old? Do they cost you money on heating and cooling bills? Energy efficient windows, skylights, and doors can reduce the cost of heating and cooling. 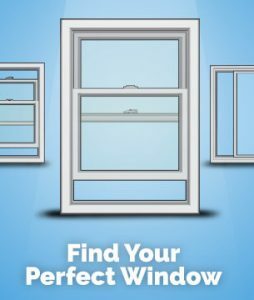 The ratings on energy efficient windows can be confusing, and you want to be sure that you are purchasing the right ones for your home or business so it may be time to call a professional window company who deals in energy-efficient windows and most companies who do also do the installation of the windows and doors. Energy efficient windows can reduce the heat and cold leaking out of the windows in your home or business. Today, they even have UV protection in them. There are 2 or 3 panes of glass in energy efficient windows that have air or argon gas in between the panes. It helps with insulation and, noise reduction. There are several benefits of using energy efficient windows. Energy efficient windows last 10 to 20 years, as the windows become better with new technology that number will probably go up. When you buy energy efficient windows, skylights, and doors, it helps to understand the ratings.The U-factor on windows frequently run between 0.20 and 1.20; the lesser the U-factor number, the more insulating to reduce heat loss. The R-value is the insulating value and is opposite of the U-factor, so if the R-value runs between 1 and 2, you want 2. There is also the solar heat gain coefficient which indicates how well the glass blocks heat from the sun. This number runs between 0 and one you want the lower number of 0. Visible transmittance or VT number runs between 0 and one this number tells you how much light is transmitted through the glass. Condensation resistance (CR) is shown as a number between 0 and 100. The higher the number, the better the window resists condensation between the panes of glass. Look for the energy rating tags or stickers on the windows and compare the numbers. If you are unsure of what the numbers mean it is best to speak to a professional so they can help you understand the ratings better and help you choose the right values for the needs of your home or business. Energy efficient windows alone will help, however; you should also invest energy efficient casings when you replace old windows. It helps ensure that you pay less for heating and cooling costs as well as have better noise reduction. If you live in a city or place where traffic is heavy, the noise reduction is essential. The future of energy efficient windows will bring about even better energy efficiency when it comes to heating and cooling, as well as, protection from UV rays. It will also bring better technological advances in the way windows can detect how much light should be filtered from coming in or solar heat gain should be allowed. Needless to say, having your home “energy efficient” will help you not only reduce energy costs, but ultimately increases your home’s value. Read our other tips for selling your home. Myths About Real Estate – Debunked!